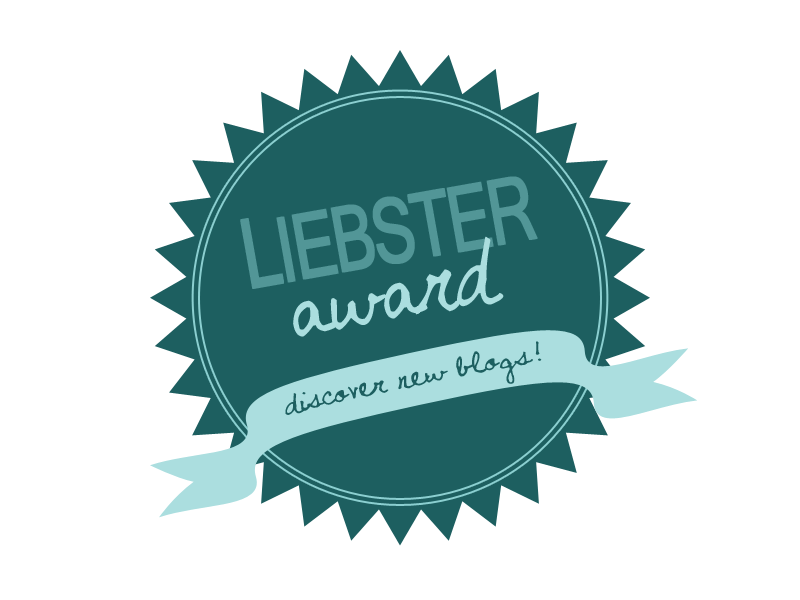 I was so lucky to be nominated for the Liebster Award by the very kind Rachel over on her blog Tiddler Tales. Rachel is another mummy blogger who posts about everything a mum encounters as she goes through life with little 'Tiddlers'. Her posts are super useful. 5. Nominate 5 – 11 blogs that you feel deserve the award, who have a less than 200 followers. I began blogging in November of 2014, when my little boy was just turning 2 months old. I had not blogged before and wanted to do something for myself, as a mum. My husband has always told me that I should 'Write something' and so, now I do. It has been incredibly therapeutic and I'm really glad I began this hobby - I can't believe people have actually read it! 2) If you could go anywhere in the world where would you go and why? I found this tough as I'm torn between somewhere I have never been but would like to go (Cuba) and somewhere I've been once and desperately want to go back (Orlando, Florida). Tough choices! I would love to see Cuba - I have always fancied the gorgeous white sandy beaches and azure sea, with the Snorkelling and 5* Hotels. But, Florida was where the hubby and I spent our honeymoon and we had the time of our lives - we can't wait to go back again and to take Jake this time. Hogwarts! 3) What's your favourite blog you've read? Gah! Another impossible question to answer. There are so many talented bloggers; so many people out there who make beautiful posts. One that I've enjoyed reading is 'Buying Second Hand Kids stuff' from Hannah over on Mum's Days. 4) What blog have you most enjoyed writing? My favourite blog post to write so far is An Interview With Daddy - I asked my hubby to answer some questions as a first-time dad, and he did such a great job. I enjoyed spending time sharing my blog with him and listening to him talk about his feelings. I found it really heartwarming. 5) Apart from blogging, do you have any other hobbies? I'm a keen reader - yet since becoming a mum I haven't read a single fiction book! My hubby and I are big film buffs, we always have been and we enjoy film trivia. That's probably my favourite hobby. I also enjoy 'Sketchnoting' and making cards, when I can. 6) Name 3 Things that would be included to make a great night out. My 3 things would be good company, good music, and comfortable shoes! 7) What would be your last meal? Another tough cookie question! My Nan and Grandma inspire me; they are both strong, intelligent women of their time with generous hearts. My mother inspires me for being so strong and raising my brother, sister and I as a single parent. I am constantly inspired by J.K. Rowling who wrote one of the most magical stories of our age in amidst a dark world of poverty, misery and PND and now uses her time and wealth to help children through her charity, Lumos. 9) What are the last 2 TV programmes you have watched? Tonight I have watched another episode of #Girls season 3 - love it! And last night I watched BBC One's adaption of Roald Dahl's Esio Trot, which was a beautiful programme. 10) What was the last film you watched and what did you think of it? The last film I watched at the cinema (watch too many at home!) was The Hobbit: Battle of Five Armies. It..was..incredible! Loved it. An epic finale bursting with action and evocative emotions. Stunning. 11) Do you have a real or fake Christmas Tree? Neither! We didn't have one this year as we couldn't realistically fit one in our little living room, now we have all of Jake's toys and paraphernalia in there! 1. I have a serious affliction to (bordering on fear of) baked beans. 2. I actually have blue eyes but people don't realise because they're dark. 3. I secretly want to be a writer. 4. I was hit by a car when I was in year 5. 5. I once won a free 'Haven' holiday as a child by dancing to MJ. 6. I passed my driving test first time when I was 17. 7. I went to Orlando, Florida for my honeymoon and it was awesome. 8. I have 2 tattoos but only my husband and very close family have seen them. 9. I poured water into a volcano in Lanzarote when I was 12. 10. I love elephants, hedgehogs, dogs and owls. 11. I have read Harry Potter and The Philosopher's Stone more than 15 times. What recently read blog post have you enjoyed? If you could learn a new skill, what would you like it to be? If you could have any 5 guests over for dinner who would they be and why? What question would you like to ask the Queen, if you could? If you won the lottery, what would your first 3 spends/buys be? Which is your favourite film and why? If you were a biscuit, what type would you be? Where in the world would you like to go/visit? If you could be in any film, TV or book which would it be and why? Thanks so much again to Rachel. I really look forward to seeing those nominated above post their answers and random facts! Great - can't wait to see your post!